Synopsis, Our Opinion: A slightly rustic wine that’s delicious, food friendly and a real bargain. Producer/Winery: Marchesi di Barolo; Barolo, Italy. Grape Variety: Barbera and a small percentage of Nebbiolo. 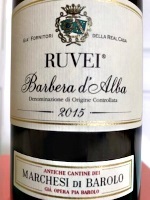 Geographic Appellation: Barbera d’Alba; Piedmont, Italy. Paired With: Grilled brisket, salt potatoes and roasted carrots. Opened one hour before drinking. Just barely clear, dark ruby/purple color with a slightly lighter rim. 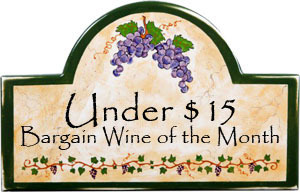 Alluring cherry and plum aromas with hints of old barn siding on a warm rainy day. Intense, medium body and a 150-grit texture. Overflowing with cherry and lesser amounts of plum Flavors. At mid-palate there was fresh acidity, a growing tartness and grippy tannins that exploded through the long finish. Like a volcano this wine began with quiet aromas, but ended with an eruption that was an outpouring of fruit tastes and Barolo-like tannins. A slightly rustic wine that’s delicious, food friendly and a real bargain. 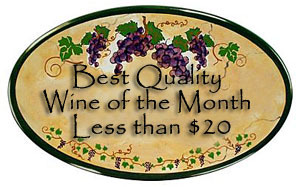 A great entry for the TastedOnline Quality wine at a Bargain price category. Photo from Marchesi di Barolo. Comments: Learn more about Marchesi di Barolo and their wines. Imported by: Frederick Wildman and Sons; New York, New York.